The Sewer Department has a special TV camera that is used to see inside a sewer line so blockages and cracks can be more easily identified. Approximately 20,000 linear feet of sewer lines are TV inspected annually. The Department was able to identify 2 significant blockages and several cracked pipes that otherwise would have gone undetected. 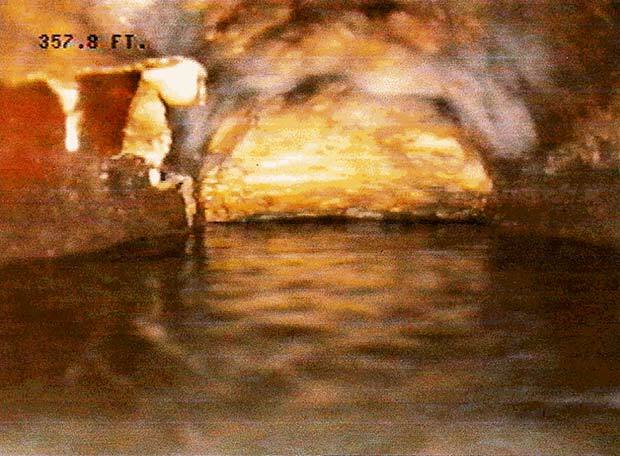 This image was taken on 2/10/2000 and shows a significant grease blockage that developed inside a sewer line on the west side of Route 309 in the area of West Hopewell Road. The Water and Sewer Department subsequently relieved the blockage. 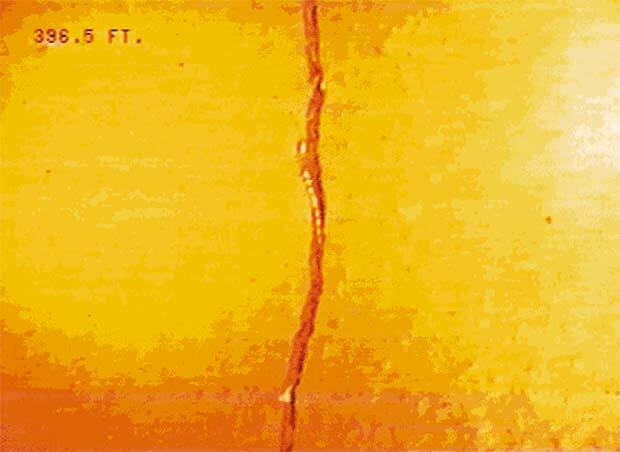 This image was taken on 2/16/2000 and shows a circular crack in a clay pipe located on the West side of Route 309 near West Hopewell Road. The Water and Sewer Department recently repaired the crack by a technique known as slip-lining.